Here I am with my final monthly round-up of the year – where on earth has the last year gone?! Looking back it’s been a pretty difficult year for me. I’ve needed two majoy operations, been diagnosed with Ehlers-Danlos Syndrome Type 3 and my physical health overall seems to have declined quite a bit. But, saying that, there have also been some lovely events this year – from engagements and weddings to spending time with special friends, it’s always important to remember there is something good in every day. I seem to say this in every round-up I do, but it seems to have been another crazy busy month (well, for me anyway!) I started the month celebrating my Granny’s 91st Birthday, which I think is bloomin’ amazing! She might be in the late stages of dementia and be very frail, but she’s still going strong and continues to surprise us with her strong will and determination. This is one of my favourite photos from the day. This month I have also tried to go back to Church a bit. I’ve spoken before about how I’m struggling with my faith at the moment, but December seemed the perfect time to go to a few services and try and sort out some things in my head. 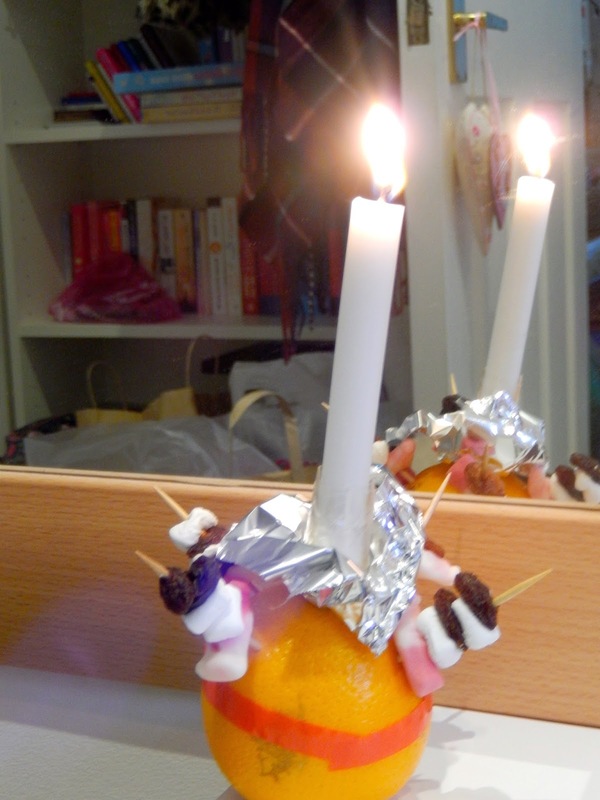 One service I managed to attend was the annual Christingle service, which was really lovely and I even managed to get my Mum to come along as well. This service always signifies the beginning of Christmas to me, and I love eating the sweets from my Christingle after the service has ended! This year I was determined to get myself a few Christmas jumpers, and I certainly managed to do that. I’ve been wearing a huge variety of different Christmas jumpers throughout the month, and am actually quite sad that some of them will only be for Christmas as they’re so darn comfy and warm! I’ve managed to get to the cinema a few times this month, which I have really loved. I definitely enjoy going to see films on the big screen and one of my resolutions for next year is to try and go a bit more. I started off the month seeing Nativity 3, which, although not quite as good as the first, was still good fun and got me into the Christmas spirit. I then went with another friend to see Night at the Museum 3 and wholly enjoyed it. Being the third one I expected it to not be brilliant, but I was pleasantly surprised and thought it was just as good as the other two. Then a few days after Christmas my Dad took me to see Paddington, which was quite frankly brilliant. I’m a big Paddington Bear fan anyway, so was dying to see the film and it certainly didn’t disappoint. Of course, the main event of this month was Christmas, and I had a lovely Christmas period spent with family and friends. I was an angel in the Church Crib Services on Christmas Eve, spent Christmas Day with most of my family, and Boxing Day with the extended family. I also got the opportunity to see several of my closest friends, who usually live all over the world, from London to Dubai, so it’s been great to catch up with them. I will be welcoming the New Year in with my close family, playing Wii games and eating party food. I can’t think of anything better. + I love the build up to Christmas, probably more than Christmas itself! I always find January to be a really depressing month. I think after all the hype of Christmas, it just seems to be a bit of a comedown – everything is dark and gloomy, you’re back at work and it’s freezing! So what better thing to do then settle down on the sofa with a warm blanket and a good DVD. There are a couple out this month that caught my eye. The first is The Boxtrolls, which just looks like a light-hearted animation that’s great for those times that you don’t really want to concentrate on anything heavy. 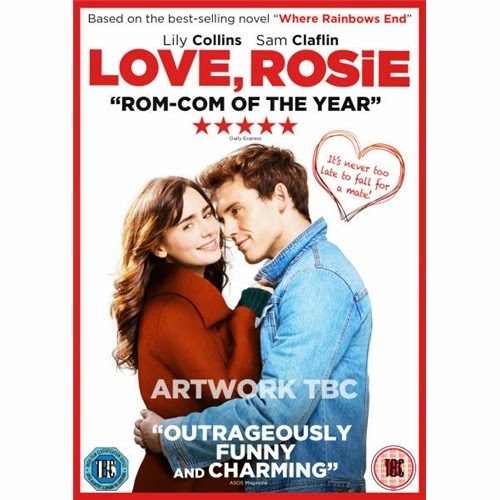 The other one that I spotted that I’d quite like to see is Love, Rosie. 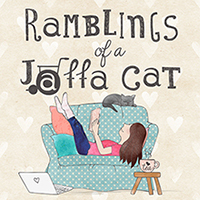 It’s based on a Cecelia Ahern book, which is what first drew me to it, and it sounds like a really sweet story. Hopefully one of those chick flicks that you can just snuggle down with and chill out. I’m really hoping there will be some good things on TV this month, because that’s pretty much what my evenings are going to consist of! I love nothing more than to come in out of the wet and cold, jump in my pyjamas and switch on the box while I do a bit of work. I’ve been keeping an eye on the adverts and it looks like we’ve got a new series of Broadchurch starting soon. I’ve not actually got round to watching Broadchurch before, but it definitely looks like the kind of TV series that would interest me. Plus it’s got David Tennant in it, so you can’t go wrong really! Something else that I’m excited about is the new series of Death in Paradise, which starts in January as well. It’s one of my favourite murder mystery shows, mainly because of the beautiful scenery and the actors that have played the main detective. So I’ll be looking forward to solving some murders with them! One of my resolutions for 2015 is to try and go to the cinema at least once a month. There are always so many films that I would love to see, and I think I should be making the most of my student discount and socialising a bit more with some of my friends. In January I’m looking so excited to go and see the newest Disney film, Big Hero 6, when it comes out on the 30th. I know one of my friends is dying to see it as well, so hopefully we can go together. Another film that’s coming out is Into The Woods, which brings all of our favourite fairy tales together in one film. From the trailers it looks a little scary and it’s got Johnny Depp playing the wolf, but it still looks like a good watch, so I might have to make two visits to the cinema this month! Make-up wise, in January I want to start rocking a darker lip colour, as I think it’s the perfect time of year for those deep reds and purples. It’s not a look I’ve ever really worn before so I’ll be interested to see how I work it. Clothes wise I will be sporting lots of big fluffy jumpers, especially in burgundy and mustard yellow, and will team them with giant statement scarves and a cute bobble hat to finish the outfit. Do you have any favourites or things you’ve learnt in December? What are you looking forward to in January?